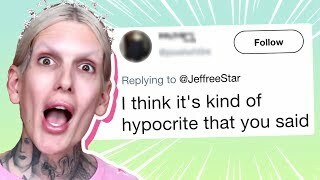 How have I just made my first Jeffree Star Cosmetics purchase?? 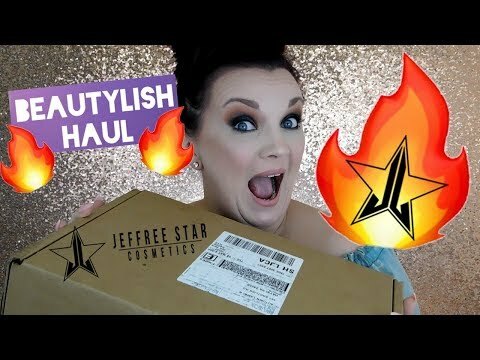 Check out this Beautylish Haul and the awesome items I picked up -- including Jeffree Star Shadow Palette and Liquid Lipsticks! 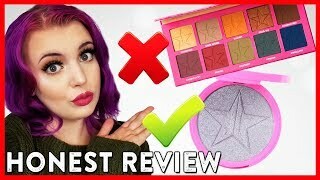 Boutique I purchased my shirt: https://www.facebook.com/theclotheslineboutiqueshop/ Items purchased: Jeffree Star Cosmetics Androgyny Palette: https://www.beautylish.com/s/jeffree-star-cosmetics-androgyny-palette Hourglass Ambient Lighting Powder Diffused Light: https://www.beautylish.com/s/hourglass-ambient-lighting-powder-diffused-light Jouer Cosmetics Skinny Dip Collection Trio: https://www.beautylish.com/s/jouer-cosmetics-skinny-dip-collection-trio To purchase separately: Jouer Cosmetics Skinny Dip Collection Ultra Foil Shimmer Shadows: https://www.beautylish.com/s/jouer-cosmetics-skinny-dip-collection-ultra-foil-shimmer-shadows Skinny Dip Powder Highlighter: https://www.jouercosmetics.com/products/skinny-dip-powder-highlighter Skinny Dip Long-Wear Lip Topper: https://www.jouercosmetics.com/products/skinny-dip-long-wear-lip-topper Jeffree Star Cosmetics The Mini Velour Liquid Lipsticks Nudes: Volume One: https://www.beautylish.com/s/jeffree-star-cosmetics-the-mini-velour-liquid-lipsticks-nudes-volume-one IT Cosmetics CC+ Radiance Ombre Bronzer: https://www.beautylish.com/s/it-cosmetics-cc-radiance-ombre-bronzer Links to samples: Oribe Gold Lust Repair & Restore Shampoo: https://www.beautylish.com/s/oribe-gold-lust-repair-and-restore-shampoo-8-5-fl-oz Oribe Gold Lust Repair & Restore Conditioner: https://www.beautylish.com/s/oribe-gold-lust-repair-and-restore-conditioner-6-8-fl-oz S N A P C H A T: RayOQuinn I N S T A G R A M: AutumnsGlamLife T W I T T E R: @AutumnsGlamLife F A C E B O O K: Autumns Glam Life E M A I L: [email protected] FTC DISCLAIMER: This video is Not Sponsored and there are no affiliate links. 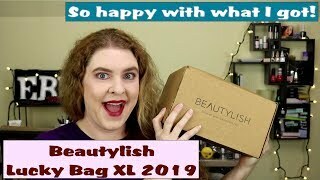 Beautylish Lucky Bag XL 2019!!! I am so happy! 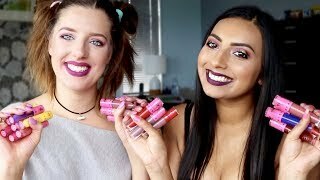 Jeffree Star Velour Liquid Lipsticks ♡ Lip Swatches in 23 Shades!